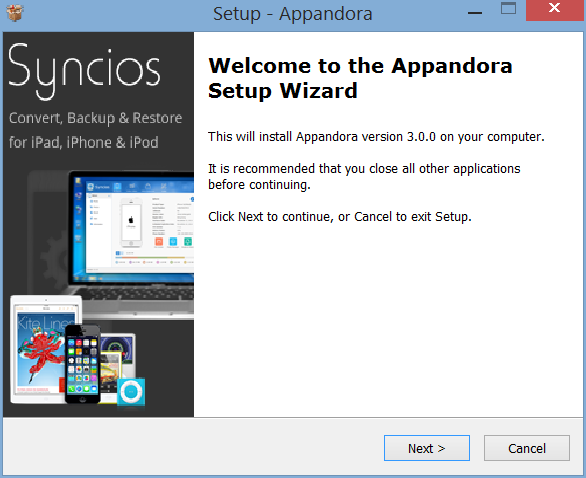 Appandora was added by Appandora in Apr 2015 and the latest update was made in Aug 2017. The list of alternatives was updated Jul 2017 There is a history of all activites on Appandora in our Activity Log. It's possible to update the information on Appandora or report it as discontinued, duplicated or spam. Has been replaced by SynciOs. If you download the program and/or try to use it you are given only the option of "updating" to SynciOs. Discontinued The program is no longer updated. Last version, 2012r1, can be still downloaded from the official website. SyncBird is a modern and free iOS content manager software that comes to give you better Apple device experience. Alternatives to Appandora for Windows, Mac, Linux, Software as a Service (SaaS), Web and more. Filter by license to discover only free or Open Source alternatives. This list contains a total of 17 apps similar to Appandora. 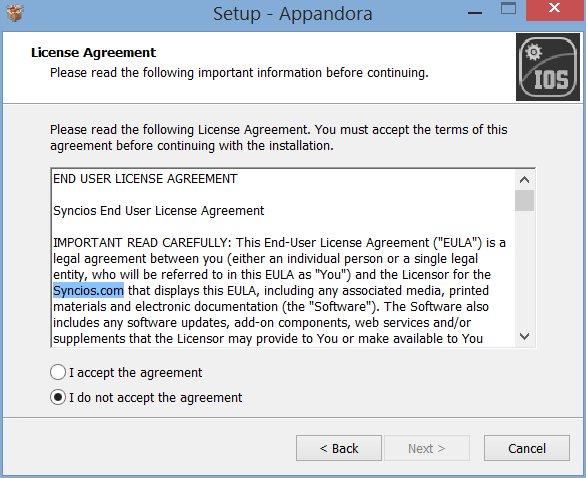 Appandora is a copy of SynciOS! Even the installer says it. Appandora is a copy of SynciOS! Even the installer says it.